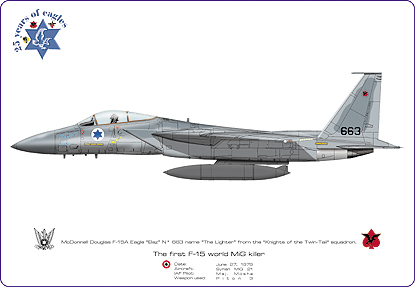 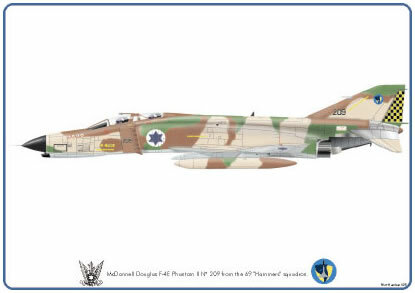 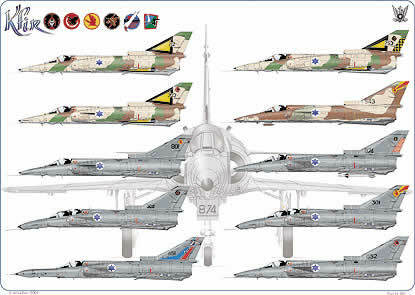 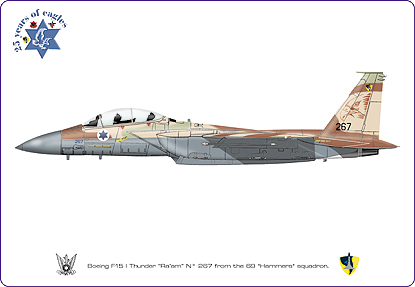 The IAI Kfir Art poster. 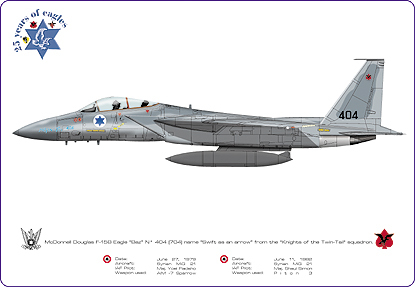 Each one of the 250 only limited-edition prints will be signed and numbered by the artist. 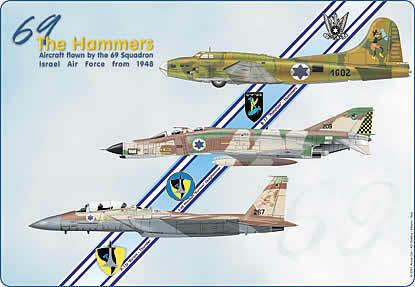 The Aircraft Flown by the Hammers Squadron 1948 - Present. 25 Years of Eagles F-15A "The First world MiG killer"
25 Years of Eagles F-15I "Ra'am.